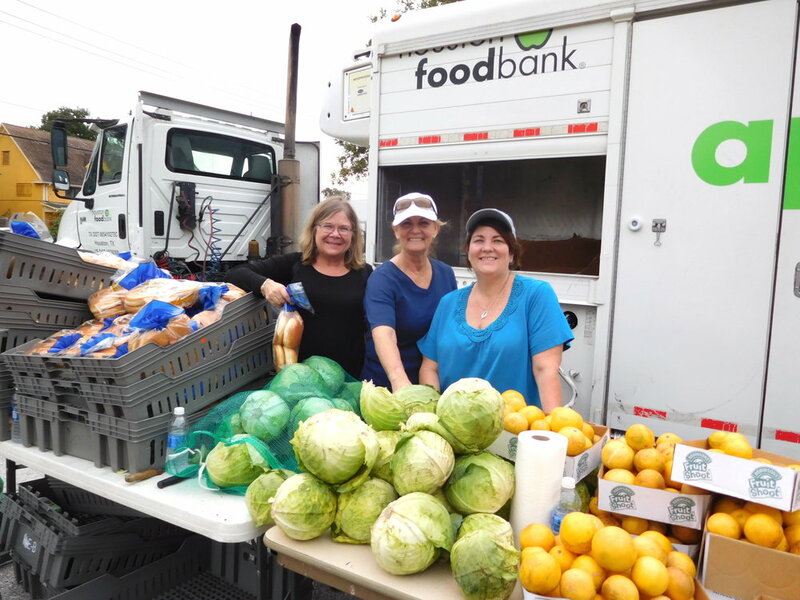 Volunteers from our communities work to serve their neighbors and provide their families with nutritious food and produce. Every month, over 1000 families are served at our locations. We make sure every bag of food has a balance of protein, fruit, vegetables and starches for families and individuals. For those who do not even have a kitchen to prepare food, LINC keeps a supply of “pop-top” cans of ready-to-eat food. Comunidad de Gracia, located at 6601 Sherman St. and is open two Saturdays month. Call Perla Rodriguez at 713-426-2451 for more information. Members of St. Timothy Lutheran Church collect food donations for LINC's communities. Much of the non-perishable food LINC provides for our communities is from the Houston Food Bank, requiring that we pay a service fee. We welcome donations of both non-perishable food as well as monetary contributions to help defray these costs. To hold a food drive benefitting LINC, please contact Perla Rodriguez at perla@linchouston.org or by phone at 713-426-2451. To contribute online, please click here. Volunteers are welcome! We need many willing hands to help sort and package food bags, to serve at our Saturday distributions and to manage the pantry during the week. This is a great opportunity for high and jr. high school students, small groups, confirmation classes, anyone with a desire to help serve our communities! Please contact Perla Rodriguez at perla@linchouston.org or call her at 713-426-2451 for more information.